ACCRA — The thermal generation market share is growing at alarming proportion compared to hydro power generation that has championed the country’s economic trajectory over the years. This has become reversed generation policy in which hydro used to be dominating in recent past. Hydroelectricity generation alone was generating about 1,580MW until the water levels reached their lowest in history. Some energy experts have blamed the problem on over drafting of the hydro dams. Others view it as the consequence of poor rainfall pattern as a result of climate change. It is projected that thermal sources will constitute about 80 percent in the total generation mix by 2020. Thermal plants are either being fuelled by erratic gas supplies or expensive light crude oil. This has direct correlation on cost of electricity and reliable electricity supply. Provision of affordable and reliable power supplies to satisfy our ever-growing appetite is one of the most critical challenges facing President Mahama’s administration. Undoubtedly, the current challenges confronting thermal generation and supply are due to under supply of gas from Nigeria, maintenance of FPSO and lack of money to buy light crude oil. It is refreshing that the energy sector tax is raking in more revenue to address the financial challenges. However, issues of transparence in relation to management of the fund has become a major concern. The unpleasant effects in this power generation shift from hydro to thermal sources are its resultant high cost of electricity and persistent slippery back to load shedding. Consistent slipping back to load shedding signals poor strategic plans to secure adequate gas for thermal power plants. Availability of gas is very crucial in fixing the electricity generation deficit. In the view of EPRI, fixing the load shedding can never be achieved without adequate procurement of lean gas. The country should therefore, guide against the mistakes of the past. Nigeria Gas has persistently default in its contractual volume of gas to Ghana. Currently, N-Gas is supplying only 10% of the expected volume of 120mmscfd. This is largely due to inability of VRA to meet its obligations. At the heart of this problem is the debt conundrum in the power sector. The proposed payment plan that has been agreed upon with N-Gas must be followed religiously to enhance the contractual relationship. Making electricity supply reliable and within the means of “ordinary” consumers remain a nightmare to the government. 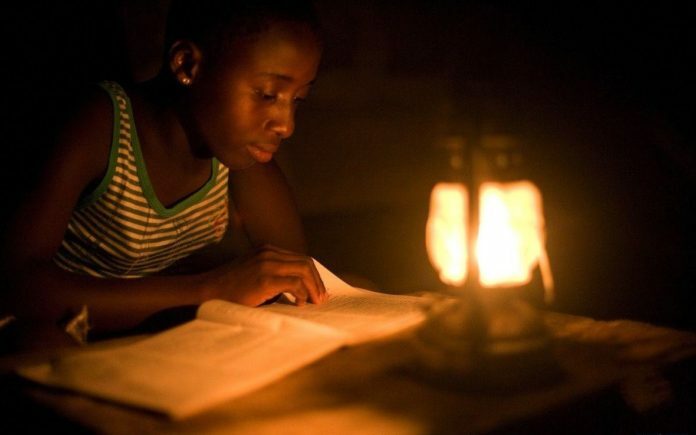 Therefore, the last nation-wide demonstration was recently being championed by Trade Union Congress (TUC) to demand for downward review of the electricity tariffs was to be expected. However, the bitter truth is that electricity generation using light crude oil or lean gas is more expensive than the cost of hydro generation. Hence, innovative interventions to find complete harmonization between realistic tariffs and affordability will be welcoming news to many Ghanaians. The effects of the load shedding are too dire for Ghana to even contemplate going back to that era. Fixing the electricity crisis is therefore, crucial for the country economic survival. Posterity will judge the John Mahama’s administration unfavourably if the current gains in the power sector are left to slip. This is the power sector’s mandate the president has to discharge without excuses. Strategic planning is required to make gas available for optimal operations of the thermal plants. To this end, Liquefied Natural Gas (LNG) must be found as a matter of urgency elsewhere in gas market to augment the existing supply sources. The plans by the Ministry of Petroleum to establish a 120mmscfd Floating Storage and Regasification Plant in Tema must be expedited to provide enough gas to power the thermal plants in the Tema enclave. Building strategic reserves for gas and light crude oil as an option that should not escape the attention of policy makers. Even though the country is cash trapped for this venture, it is imperative that financial resources are found to take advantage of low prices of fuel globally. The bane of thermal generation is erratic supplies of gas to meet our ever increasing demand. Natural gas storage will play a significant role in maintaining the efficient and reliable supply of natural gas needed to the gas-fired electrical generators. Natural gas can be stored for a long time in a number of different storage facilities for later consumption. Underground and aboveground storage facilities are being used for this purpose. In areas where geology is not suitable to support the development of storage facilities underground, aboveground methods are used in the form of liquefied state and tank farms. EPRI therefore, calls for collaboration between power sector stakeholders and the Environmental Protection Agency (EPA) to find suitable means of natural gas storage in the country. Building buffer can cushion and prevent supply interruptions in the future. Notwithstanding the measures enumerated, a strong case for other sources of energy is crucial. It is becoming abundantly clear our traditional sources which have satisfied our needs are no longer sustainable. Therefore, if fixing the power deficit permanently is to be taken seriously, the government should move beyond its fixation on thermal power sources. Currently, the country’s generation mix is mainly from thermal and hydro sources and a bit of solar power. Notable solar projects are 2.5 Megawatts in Navrongo and 20MW established by BXC located in Winneba. However, EPRI implores the Ministry of Power to diversify our energy portfolio further to include more solar and some proportion of “clean coal”. Even though some people are skeptical about establishment of coal plants in Ghana, it is always considered an option to countries that are power starved. Most developed and some emerging countries at their nascent stages of their developments relied heavily on cheapest source of electricity production to fast track their pace of economic advancement. Industrial revolution of Europe was powered by coal plants which are current being decommissioned. In their quest for rapid economic development, the policy then was security of electricity supply regardless the power source and its environmental effects. Fortunately, modern combustion technologies have been evolved to make it a cleaner source and environmentally sound. The issue many energy experts have wondered about is the country’s power generation policy underpinnings. Is it anchored on economic consideration or environmental soundness? There must be strategic policy direction at every stage of the country to guide its development paradigm. It is instructive to know that many advanced countries still use a substantial proportion of coal in their power generation mix. Coal-fired power plants currently constitute 41% of global electricity generation and, in some countries, coal powers a higher percentage of electricity. As at 2012, South Africa had 93% of electricity generated from coal, Poland had 87%, China had 79%, Australia had 78%, Kazakhstan had 75%, India had 68%, Israel had 58%, Greece had 54%, Czech Republic had 51%, Morocco had 51%, United States 45% and Germany 41%. This power generation policy by these countries is driven by economic considerations rather than environmental concerns. In view of this, EPRI supports the Ministry of Power’s approval to build a $1.5 billion ‘clean’ coal power plant at Ekumfi Aboano in Central Region on the grounds of international equity. The 2,000 megawatt power plant project is being constructed by the Volta River Authority in partnership with Shenzhen Energy Corporation, a mother company of Sunon Asogli Power Ghana Ltd. It is the conviction of EPRI that affordable coal can play significant role in improving access to energy and supporting Ghana’s economic development. Ghana has recently signed the Paris Agreement on combating Global Climate Change with a set of priorities. Instructive to this agreement are priorities: 1. Scaling up of rooftop solar systems to provide electricity. 2. Fuel diversification in thermal power generation and shifting towards cleaner fuels for efficient thermal power generation and 3. Scaling up of solar mini grids to island and lakeside communities. Tinkering our generation policy to include more solar power should inform our policy underpinnings henceforth. Lack of inter-ministerial collaboration and linkages is the bane of policy failing in Ghana. Formulating climate change policies is the exclusive right of Ministry of Science and Technology but implementation cut across different ministries. In this commitment, synergies have to be built among ministries where the Ministry of Power has to take a leading role in coherent policy direction. EPRI believes that sustained power sector policy that aims at avoiding fixation on one generation source is the way to go. Every power source has its advantages and disadvantages with regards to affordability, environmental soundness and economic efficiency. Therefore, no country that is power sufficient relies solely hydro, thermal, or coal source to meet both industrial and domestic demands. The right mix of power generation sources will guarantee the country security of electricity supply. A key objective of the power sector should be focused on providing affordable and reliable electricity to serve as impetus for accelerated economic growth.